It decreases soreness because the tart Montmorency cherries help with inflammation, muscle damage, and oxidative stress. The Challenge came at a perfect time because I hadn’t worked out in a while before then and it was time to get back on the grind! I went to a bootcamp class on Wednesday morning and… oh man. I was sore within an hour! It was intense. But it hurt so good…. Needless to say I was sore for like 4 days after that, following another extra bootcamp class that Friday morning and some yoga and jogs in between. The tart cherries were there at the perfect time to assist with my recovery. 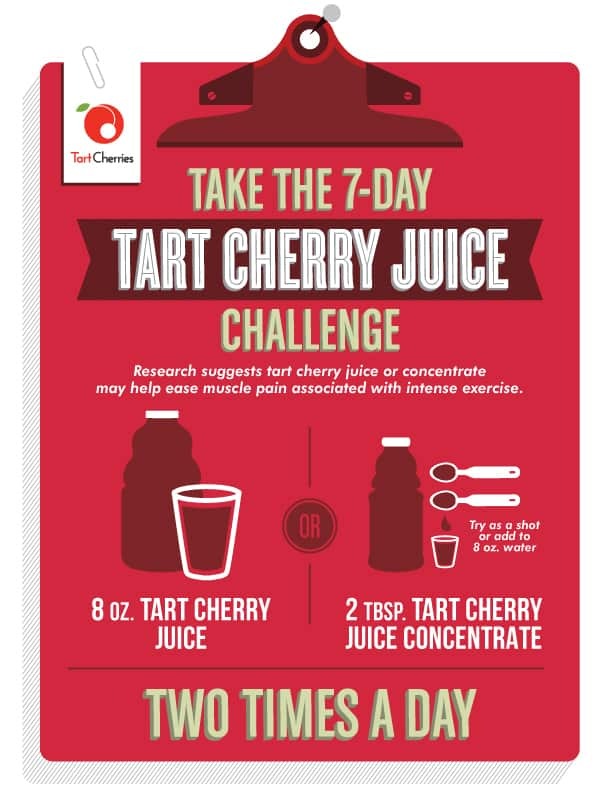 I was drinking the tart cherry juice by itself and I really love the flavor of it – maybe it’s just me but I really absolutely love the tart tang and I think it’s absolutely sweet enough naturally as it is. I also definitely noticed that my soreness seemed to subside sooner than expected. Sure, I was extremely sore the first two days (as expected) but it was more manageable each day after the next. Being able to do a bootcamp class only two days after the first one, even though I felt super sore, might be a good example of that. 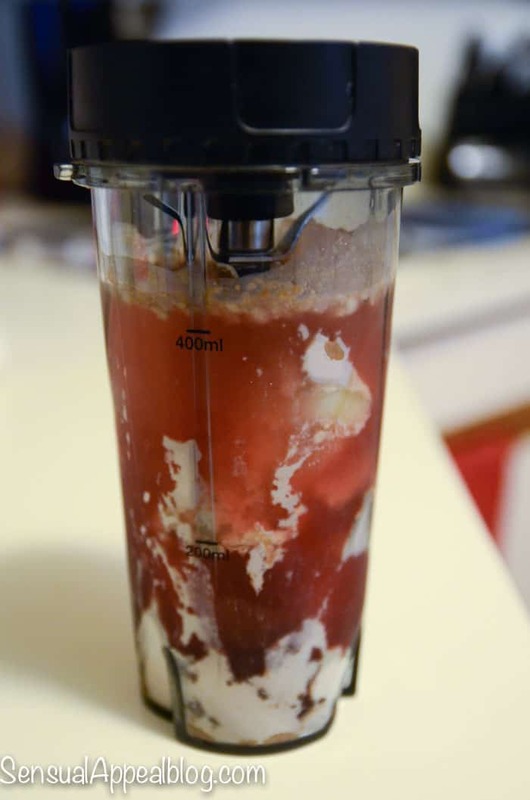 But, I wanted to use the tart cherry juice to create something new! 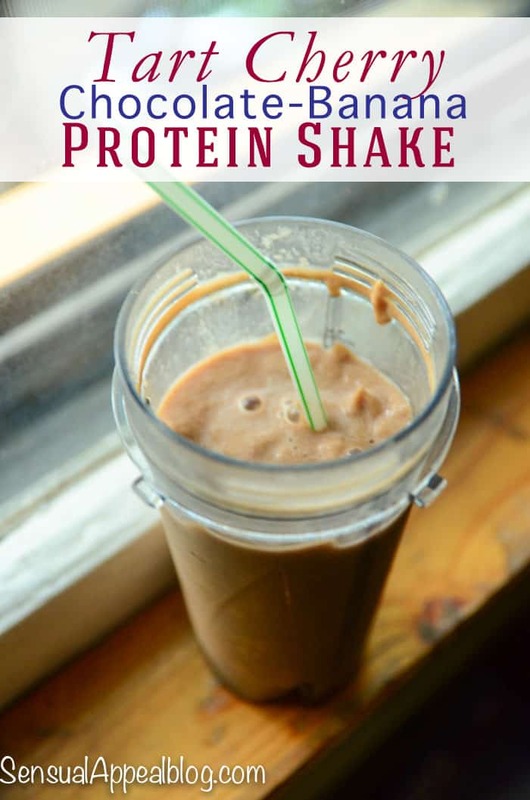 I realized I hadn’t created any new protein shake recipes in a while and this is the perfect place for me to use tart cherry juice? 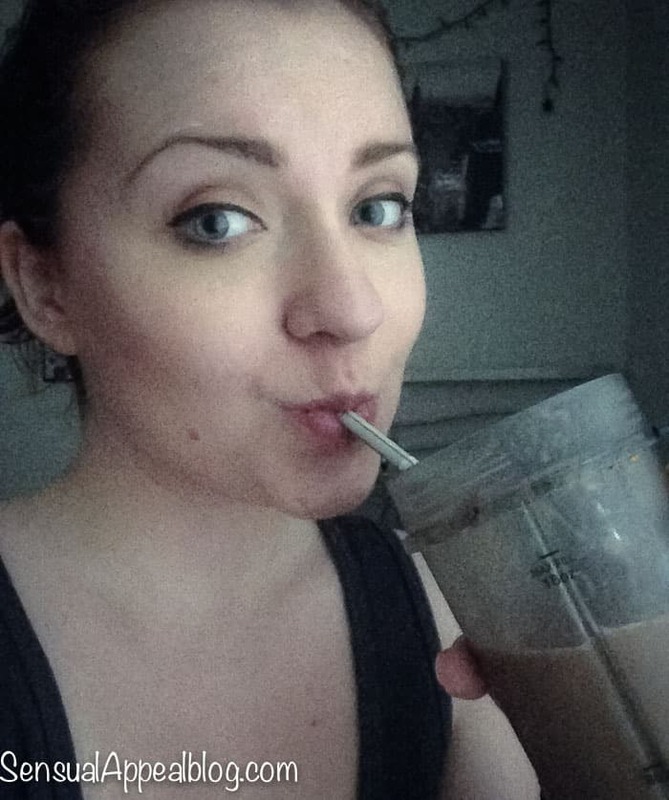 I took out my vegan chocolate protein powder and started to experiment. 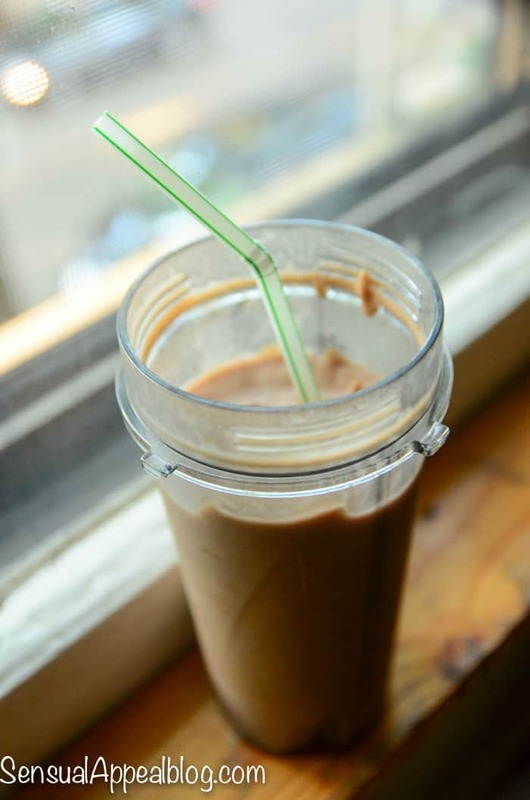 I’ve never actually used juice as a liquid for a protein powder so I wasn’t sure how it would come out, but I was happy with the result!